Well Christmas is fast approaching and with the festive season comes many things for many people. Presents, time with the family, great food and Xenomorphs? Yes if you are an Alien fan, then Christmas is going to be especially exciting this year with NECA releasing a brand new collectible of the first Alien from the 1979 Ridley Scott movie, amusingly nick named “Big Chap”. 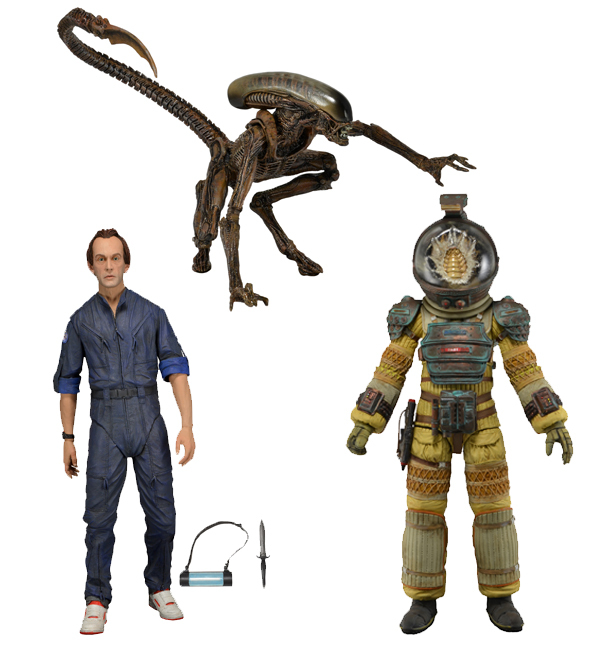 NECA Alien Figures: New Images of Bishop and Face Hugger Kane Released! If nothing else, figure makers NECA certainly know how to keep a fandom happy. When they are not making superbly sculpted figures out of retro game franchises (Robocop, Jason Voorhees, Freddy Krueger and Batman are just a few of the characters that have under gone this process so far), then they are creating plastic versions of your favorite scary movie characters. 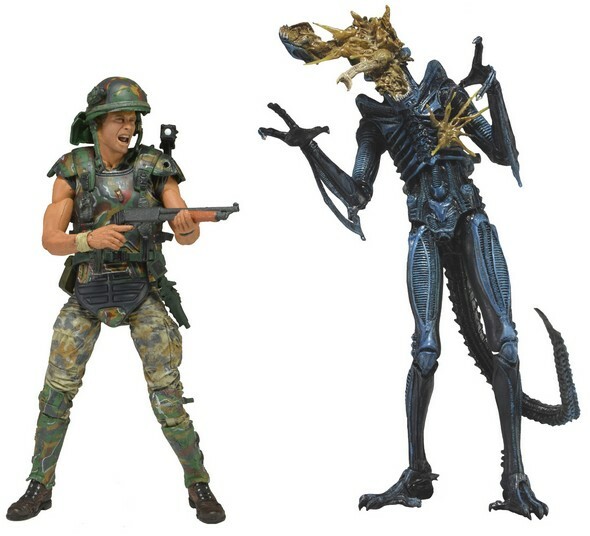 Now in its third series, the NECA Alien figures have given fans of the franchise the opportunity to own their own versions of characters like Hicks and Hudson from the series one, and exclusive NECA creation – Sgt Craig Windrix in series two. a tribute to NECA employee Kyle Windrix’s brother Craig, who recently lost his battle with stage 4 stomach cancer. Additionally, a whole heap of Xenomorphs are available too. With series three we have some new entries to the collectibles with Bishop (Aliens), Face Hugger Kane (Alien) and the Dog Xenomorph from Aliens 3. Up until recently we only had some generic, (but well detailed) photos of these figures. 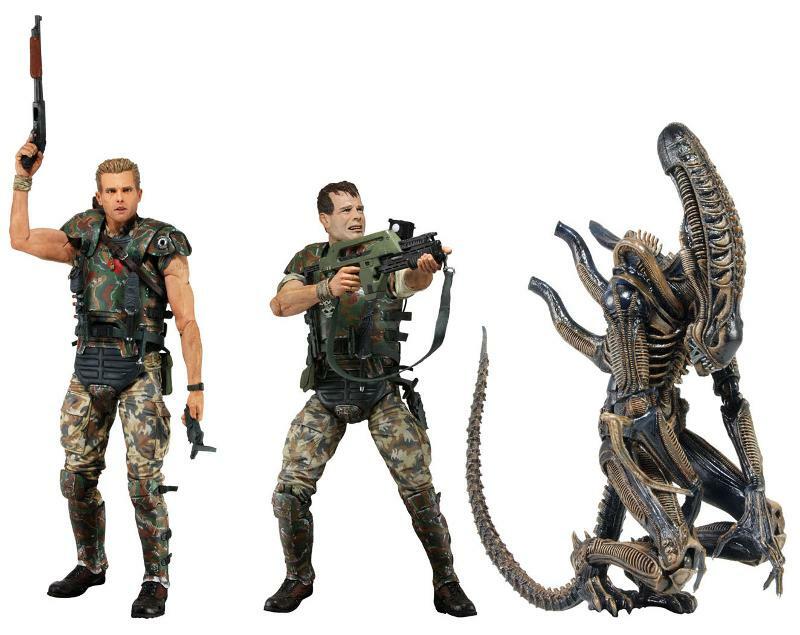 Luckily for all Alien fans however, NECA has released some higher quality images of two of these characters, giving us a much better look at the craftsmanship that has gone into their creation. Starting with Bishop (played by Lance Henriksen in the movie), we get an incredibly detailed facial sculpt of the actor, as well as his attire from the movie. Though not seen in this picture he does come with his trusty knife, so if you feel the need to reenact that classic cafeteria scene in figure form you now have the chance. Next up is Kane in his Nostromo space suit with an unwanted guest, the Face Hugger. The details on the Nostromo suit are great, as is the sculpt of the Face Hugger itself, which looks just as slimy and horrific as it does in the movie. Looking at it too long can make your throat feel quite uncomfortable! The cool thing about this figure is that the helmet can actually be removed, giving you an even better look at the character design and Face Hugger sculpt. NECA has also spared no expense on the packaging art, with the movie design of the film the character starred in incorporated into the actual blister pack artwork. No news on the dog Alien from Alien 3 as of yet, but hopefully it shouldn’t be too long until we get some detailed photos of that figures design. But if you still need to get some Alien action figure freak on before the end of this article, then why not have a look at the soon to be released Alien Queen figure. If you were impressed by the look and sheer size of this new figure, then wait until you see the box art it will come in which is equally as stunning. And just so we end on even more Alien action, why not look a this other figure NECA also created, which has to be one of my all time favorite plastic creations. For more news on NECA and other action figure releases then why not sign up to the Grizzly Bomb newsletter and don’t forget to keep checking the website for more Alien and up coming collectibles news. And remember to “like” us on Facebook. 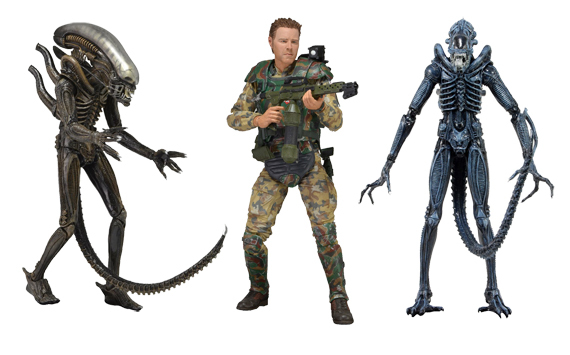 What Alien franchise character do you think NECA should turn their hand to next? Why not let us know in the comments section below.